Here's a quick overview of all the PEPLUM books I have in my library. Almost all of them are saddled with he same problems: missing titles including Arabian Adventures or PEPLUM films of the 1980s. 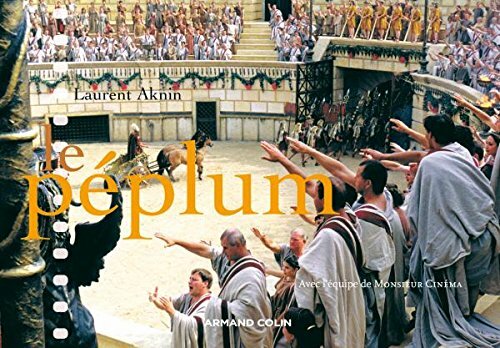 Since most of these books were published during or before GLADIATOR (2000) was released, few of them cover the recent third wave of PEPLUM films. Also, there are some books I didn't buy for many reasons, which I'll mention at the bottom of the article. An expensive book (over $100.00), it was seemingly published more for Academia than for the general public. Of all the books, this one is quite serious and yet, like so many other books, it is filled with errors, it's padded and it lists all alternate titles (and there are plenty of them) individually which, at times, becomes ridiculous. It would have been better for the author to list the alternate titles under the actual title and not spread them all over the book. This aspect is a good example of one of the many and unnecessary examples of padding. The author often states things which makes me think he doesn't know anything about the PEPLUM genre. The best example: he wrote than none of the main stars of the PEPLUM genre were born in Italy. When I read this I went "What?!?!". 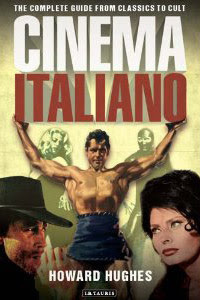 Kirk Morris, Alan Steel, Pietro Torrisi are just a few who had leading roles in films and they were born in Italy. The author most likely thought Alan Steel was a real name and not a screen name for Sergio Ciani. - Great format and text. Easy to read. The first PEPLUM book I ever bought. Like almost all books listed here, this one has good aspects to it and some truly horrendous ones as well (yes, horrendous!). I don't even know where to start! First of all, the author hates HERCULES (1958) starring Steve Reeves. From the get go, this made me think "What?!? Why is he interested in the genre if he dislikes HERCULES?!?!" You know, the poster that's on the cover is HERCULES UNCHAINED...so, again, major confusion going on here. The good thing is that it does have gorgeous reproductions of the posters. I bought it mainly for that but then again one can go on eBay and get tons of beautiful posters, original or reproductions, for no cost at all. The other horrendous part of this book is that the author has no knowledge whatsoever of these movies. It's filled with titles that don't exist. The author erroneously and repeatedly translated the titles from posters of different countries into titles that don't exist. The author was so lazy that he didn't bother to see if these titles actually existed. Before explaining what's wrong, I'll mention that I've also altered 'official' English title because the English titles didn't make any sense but what the author does in this book is different. For example, the original Italian title of HERCULES AGAINST THE BARBARIANS is MACISTE NELL'INFERNO DI GENGIS KHAN. 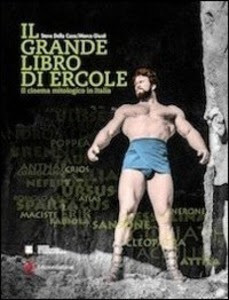 Where the poster is displayed in the book, the author doesn't name it by HERCULES AGAINST THE BARBARIANS but translates it in English as MACISTE IN THE HELL OF GENGHIS KHAN in the caption text under the poster. The author does this to tons of specific posters reproduced in it. It's mind boggling. Anyone who doesn't know anything about the PEPLUM genre and reads this and tries to find the films, well they won't find them. Clearly, the author doesn't care for the genre. Again, like so many authors listed here, Hughes is not a fan of the genre. His reviews are borderline amateurish. He states that the music for TRIUMPH OF MACISTE sounds 'Chinese-like.' I'm like, "What?!?" The first 3 chapters are about the PEPLUM genre (roughly 75 pages). 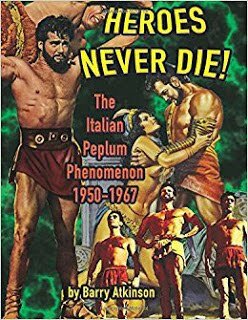 The author was clearly more interested in other genres of Italian cinema than this one even though Gordon Scott from GOLIATH & THE VAMPIRES fronts the cover. If you're a fan of the PEPLUM genre, avoid. A small book (123 pages or so) that's nearly all about Hollywood. It's in French and the author has very little time for European made films (a dozen pages or so in total). It's okay and it's cute but not what I expected. By far, the best book listed here. It's very well researched. The layout is beautiful and it's filled with photos and reproduction of posters. It also lists productions that weren't completed, which is cool. When I bought it it was $40.00 US, which was nearly $50.00 Canadian. Also, there are many titles missing. An update would fix this problem, certainly with the recent films made after the release of GLADIATOR (2000). 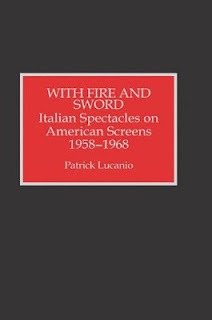 But I understand that the book is more focused on famous titles (from the US and Italy) than some obscure movie made in the 1980s. That's about it. Well worth purchasing. The author clearly likes the genre (which is a nice change considering the other books here.) I don't necessarily agree with Smith's views on some titles but that's fine. It makes it more interesting. - Includes titles of projects that weren't completed. Reviewing this hefty book is difficult since it's in Italian and even though I get words and phrases, I'm not 100% proficient in the language, which is a barrier. I did find a way to translate text from it: there's a scanning app for the iPhone which takes a picture of a page and it can render it into editable text. I send the text to a website that translates text and voila, I can read what it is written. But the process is tedious and time consuming. I cannot do this for the entire book but if I need some info from it, I can always use this process. 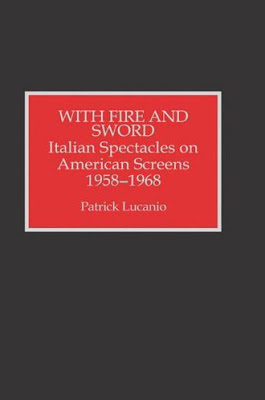 From what I've read about it, it's quite well researched but like many of these books, the Italian authors aren't much fans of Italian productions. The focus is, again, on Hollywood films. There are many problems with this book which have nothing to do with the Italian language barrier. The title of the book is basically 'THE GREAT BOOK OF HERCULES.' Initially, I thought the book was only about films with Hercules or Hercules-like heroes but no, this book covers everything including films about Cleopatra to Julius Caesar to Vikings. So, why call it 'THE GREAT BOOK OF HERCULES' if it covers other subjects other than Hercules? I don't get the title. Cinematic Confusion. The really big problem I have with this book is the fact that it doesn't have an index. I'm like "What?!?" Not having an index almost seems sacrilegious. Since this is in Italian, an index would have helped so much and would have made it much easier to find specific parts about an actor or director. The fact that it doesn't have an index made it drop several major notches from its worthiness. The good thing about this is that instead of an index it lists all the actors, photos included, and the titles they worked on. This list is great (even if the layout is a jumbled mess). I enjoyed this section highly. Very helpful. But it doesn't make up for the lack of an index section. 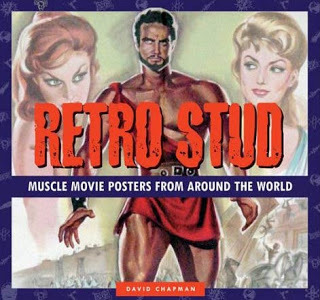 As a side note, the authors are clearly fans of Reg Park. There's a glossy photo section at the beginning and it's almost entirely dedicated to Reg. I find this a bit odd since Steve Reeves was the one who propelled the genre to its zenith but it's not a major complaint. Just an observation. This 'book' only contains listings. No reviews. No information other than titles and the people (actors and crew members) involved. That's it. The author basically got all his info from other sources, including IMDB or other books, such as EPIC FILMS, and published it in this pointless compendium. This magazine (is it really a magazine?) 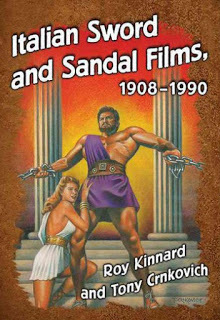 covers the subject of films from the 1950s (and early 1960s). They actually published one edition about the PEPLUM genre. The fact that this exists is cool but I wasn't really impressed by it. 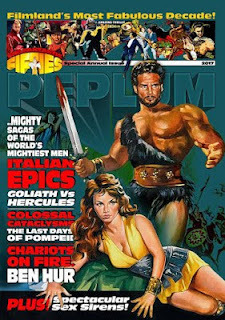 It had a few interesting tidbits (Steve Reeves was offered the male role in ONE MILLION YEARS B.C..) but it's mainly big photos with recycled information available everywhere, including here at PEPLUMTV.COM. I've reviewed this book here at the blog but didn't think it was worth listing as a PEPLUM book here. It was once useful as a list of titles. More of an extensive review and overview of the genre itself than a compendium. I didn't bother reading it because it would be too time consuming translating the Italian text into English. I tried to buy this book and it was way too expensive. It would have cost me over $100.00 to buy + have it shipped to Canada. If I really want something money is not a problem but I read reviews from it and they didn't impress me at all so I decided that it wasn't worth splurging that amount of money for another disappointing book. Except for ITALIAN SWORD & SANDALS FILMS book, I don't regret buying any of these publications (well, the FANTASTIC FIFTIES magazine wasn't worth $40). Anything on the genre is of general interest to me. Unfortunately, except for EPIC FILMS, most of these books are disappointing. The ultimate PEPLUM book has yet to be published. There are more books of the PEPLUM genre out there but I don't own them or didn't review them because I'm not interested in them or that they're OOP or I figured they wouldn't be that thorough. For instance, there's a massive French book on the PEPLUM genre that's available online called L'ANTIQUITÉ AU CINÉMA. I didn't review it for several reasons, including the ones I already stated. Personally, that French book is a mess of sorts but it is comprehensive. It's just too unfocused to write a good short review on it. You can peruse it for free and if you're fluent in French it might be fun to read but this book, like so many others out there, looks down on the Italian PEPLUM genre. I've also written many reviews on books I've listed here. I won't link these reviews here but I'll post this link which has a couple of books that I don't have but know of their existence. Fantastic article, i have all but a couple of these and are all worth owning. I do have quite a few other books, magazines, etc. that you don't list. Have you seen "The Ancient World in the Cinema"? Two editions, I think. Don't have access to them currently. Not focused on the peplums, but there is a chapter on the "Muscleman Epics." And the other chapters are of some interest. Thank you for the very kind review of my book. This was a second edition so it had been greatly updated from the first one which was published in 1991. There is also a paperback edition which is less expensive but I still think McFarland overprices their books. And, obviously, you realized that I do love these films. Keep the torch burning for them with your website! 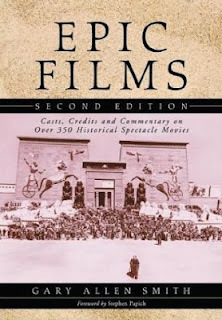 The Epic Film by Derek Elley is also a very good book. It covers all the films set in ancient times. Thanks very much for this listing. I suggest you write the definitive book on the subject. It should be a large format paperback. Ideally it would have plenty of color photos (especially of attractive female stars and female slave market scenes). The target retail price should be in the USD 19.95 to 25.95 range. Thanks much for posting your Peplum library. You have dutifully warned me off of many, if not all, of the titles that I had my sights set on. It appears that the definitive tome has yet to be written. Perhaps a certain blogger with the knowledge, love for the genre, and a fair hand with the keyboard should consider taking up the challenge? There is a Spanish book by Oscar Lapena Marchena, translated into Italian by Roman publishers Profondo Rosso in 2009, as 'Guida al Cinema Peplum', which has individual chapters on the years 1958-64 and also summarises earlier and later periods, further detailing the political aspects of peplum and other selected issues. Worthwhile dipping into at 400 pages and 29 euros (price at time of my purchase). Downside: b. & w. photographs look photocopied. Thanks, yes, I noticed that you do have books that I don't have. You're welcome! Definitely good information in your book, certainly the stuff over incomplete films. Good idea...I'm definitely up to the challenge. A PEPLUM bible would is in order. Book publishing would be uncharted territory for me though. I was aware of Ancient World in the Cinema. It's $7 Canadian on Amazon. I'm buying it right now! Thanks for the suggestion of Guida al Cinema Peplum. I'll check it out. Even if Arabian adventures are not one's cup of tea, I think they still need to be covered.